The town of Nain is mentioned only once in the New Testament. Nain is identified with the Arab village of Nein on the north slope of the Hill of Moreh. Nein is said to mean pleasant. Nain was a city of Issachar in Old Testament times. 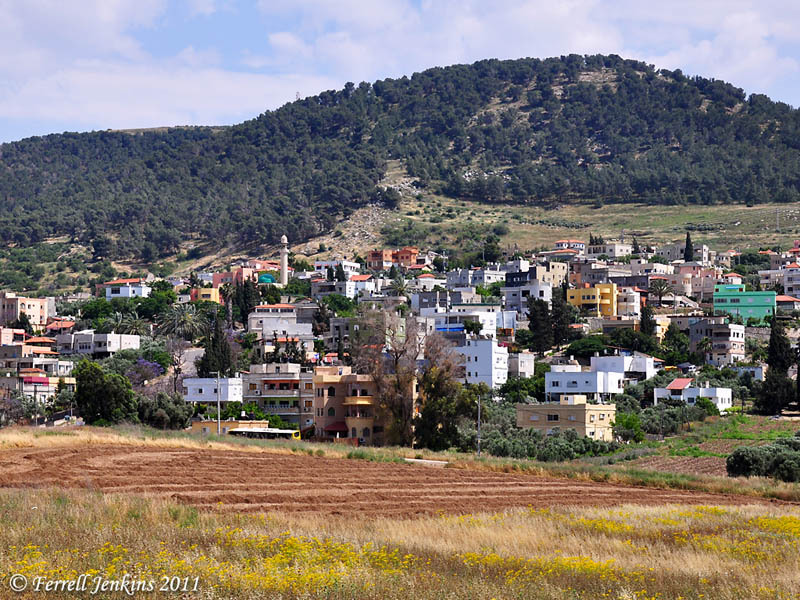 Here is a photo I made of the little Arab village last May. The Village of Nein on the north slope of the Hill of Moreh. Photo by Ferrell Jenkins. Ralph Earle describes the pleasant location of Nain. Our new header, which we will use for a while, is a 3-image panorama of Nain and the north side of the Hill of Moreh. This entry was posted in Bible Places, Bible Study, New Testament, Old Testament, Photography, Travel and tagged Ministry of Jesus. Bookmark the permalink.